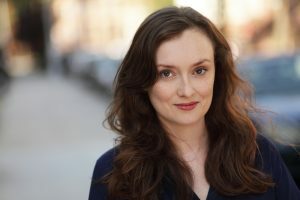 Rebecca Lovett joined Nora’s Playhouse as an Artistic Associate in 2013 and served as Nora’s Assistant Managing Director from February 2015-June 2016. She was also the General Manager for Nora’s acclaimed productions of Rose starring Kathleen Chalfant (2015, Theatre Row) and whatdoesfreemean? by award-winning human rights playwright Catherine Filloux (2018, The Tank). Rebecca’s New York theatre credits include acting in Belles (Heiress Productions, Lion’s Theatre/Theatre Row), 7 Stories (Urban Stages), A Period Piece (American Globe Theatre), Lynch Play (Gene Frankel Theater), and A Walk In The Park (Looking Glass Theatre). Regional credits include playing Maggie in Cat on a Hot Tin Roof (Le Petit Theatre du Vieux Carre, New Orleans) as part of the Tennessee Williams Festival. For the past few years, Rebecca has been concentrating on film projects, appearing in numerous independent short and feature length films. Rebecca is also currently the Assistant Director of the Episcopal Actors’ Guild (EAG), a not-for-profit that provides emergency financial assistance and career support to NYC’s professional performing artists. And you may on occasion see her working front-of-house at St. Ann’s Warehouse.